You have come to the right place if you are looking for practical travel information or interesting and unconventional travel advice. Our website will provide you with a wealth of information about some of the best travel destinations across the world. We'll have lots of information for you if you are trying to explore some of the most popular travel destinations, especially if you want to do so a bit off the beaten path. We specialize in travel that broadens the mind. Sit back and enjoy some of our first hand travel stories, richly illustrated with lots of travel photos and embedded travel videos to give you an authentic look at some of the most fascinating tourist destinations of the world. Connect with the world through us and meet some of the interesting and colourful locals in our travel blog. Given our home base in Toronto, you will find lots of personal travel stories about Toronto travel as well as surrounding regions such as Ontario, Quebec, New York State, New England, Michigan and others more. For instance, we’ve got lots of New York City and Montreal travel info for you that will help you plan some exciting urban getaways. We have also visited many serene country destinations to give you some great ideas for a weekend away. Our travel portal provides extensive first-hand travel information about places across Canada, the United States, Mexico, Cuba, Argentina, Uruguay, Austria, Italy, Spain, France, Great Britain, Poland, Hungary, the Czech Republic and many others more. Our travel advice articles will introduce you to some of the best travel destinations all across the world. You will find useful travel advice for places in Europe, the Americas, Asia, Africa and the South Pacific. Our Travel Destination section will offer you lots of travel ideas, including architecture, museums, arts and culture, attractions,festivals and all sorts of interesting places to visit. Since we are very passionate about active travel, you will also find lots of info about walking tours and hiking opportunities as well biking trips and other travel ideas that will keep you fit and busy. Many of our articles also bring unique accommodation ideas to you: from historic hotels to one-of-a-kind boutique hotels to cozy bed and breakfasts. Since travel can be very expensive, we also supply you with lots of advice on how to travel for less. You will find some truly unconventional ideas on how to reduce your travel budget. Much of our content is focused on local culture and the people behind the destinations to give you an authentic feeling for the places you are thinking of visiting. As a matter of fact, at Travel & Transitions we believe that travel is a great way to connect people and build greater understanding between people of different places and backgrounds. We have experienced the global friendship opportunities that travel can offer. Since we believe that travel is a metaphor for the life journeys that we go through, we have also spent lots of time interviewing interesting and inspiring people. We have interviewed travel experts, pilgrims, philanthropists and countless people who inspire. Many of these people have even created successful travel businesses, so when you read our articles you might even get some inspirational ideas for your own future career choices. And for those people who don’t have the chance or the funds to travel, Travel & Transitions offers an amazing opportunity to explore the world right from the comfort of your home. 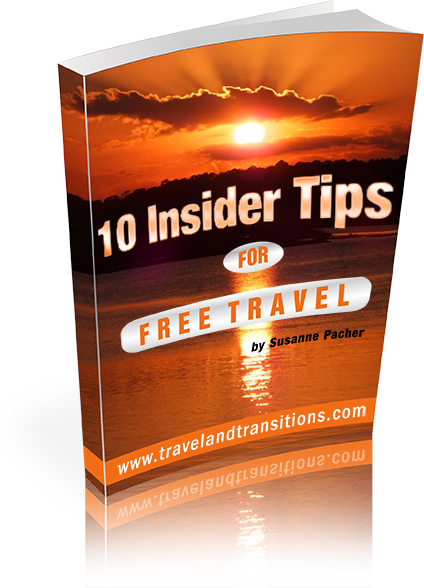 With hundreds of articles, tens of thousands of travel photos and almost 5000 travel videos, Travel & Transitions offers you virtually limitless opportunities for virtual travel. So join us and discover the world with us! "Life is a Journey — Explore New Horizons"